The Tanzania Investment Centre (TIC) has confirmed that 2014 has kicked to a positive start with respect to investment in the agriculture sector in Tanzania. As signal of their strong confidence in the Tanzanian investment climate and the country’s future economic prospects, Unilever has chosen the Southern Agricultural Corridor of Tanzania (SACGOT) to expand its tea project. The planned investment will triple Unilever’s production of tea from smallholders through outgrowers schemes. This is expected to generate significant export revenue, projected at EURO 110 million, and to position Tanzanian tea as an original tea of international repute. 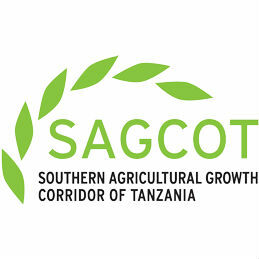 As a partner of Tanzania’s SAGCOT initiative, Unilever has expressed its full commitment to ensure that its investment also addresses social economic and environmental goals. The investment will catalyse significant socio-economic development in the Iringa and Njombe regions by creating 10,000 jobs, enhancing the livelihoods of another 2,000-3,000 tea small holders, and in total, touching the lives of an estimated 50,000 people. At the recent World Economic Forum Annual Meeting in Davos, Switzerland, Mr Pier Luigi Sigismondi, Uniliver’s Chief Supply Chain Officer, met with the Tanzanian Minister of Agriculture, Honourable Christopher Chiza and reiterated Unilever’s commitment to investing in Tanzania. Mrs Sophia Kaduma, Permanent Secretary in the Ministry of Agriculture, advised that Unilever has signed an MOU with the Ministry, the Tanzania Tea Board and the Tanzania Smallholder Tea Development Agency, to progress the development of the project in line with the social and economic aspirations of the Government of Tanzania. TIC Executive Director, Mrs. Juliet Kairuki, confirmed that Unilever had applied and was granted National Strategic Investor Status in December 2013 at a National Investment Steering Committee (NISC) meeting convened by Tanania’s Honourable Prime Minister, Hon. Mizengo Peter Pinda in Dodoma. Unilever is a leading global supplier of fast moving consumer goods with operations in 100 countries and sales in 190 countries. It directly employs 173,000 people and has a turnover of 51 billion Euros. Africa remains at the heart of the multinational’s global business strategy.